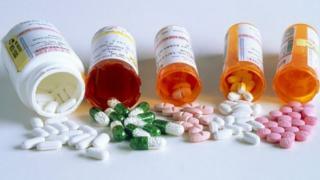 Websites selling prescription medicines have been reprimanded by inspectors for compromising patient safety. The Care Quality Commission highlighted lax standards at four online services in its latest batch of inspections. It included one case where a patient's application was assessed in only 17 seconds by a GP. Another service was criticised for prescribing a "high volume" of opioid-based medicines without properly checking patient histories. Other issues identified by inspectors included insufficient checks on patients' identity, poor recording of medical histories, inappropriate medicines being prescribed and lack of communication with the patient's GP. There were also examples of patients needing further assessment and not being referred to the appropriate service. Prof Steve Field, who is in charge of the CQC's online prescribing inspection regime, said online providers must not compromise safety. "We expect the same standards of quality and safety to be met as we would see in more traditional GP settings - this is exactly what people deserve," he added. The CQC is in the process of inspecting over 40 online services which are registered in England. It comes after a BBC investigation last year highlighted problems with the online pharmacy market. The BBC approached the four services highlighted by the CQC for a comment. Only two made a statement. Angus Wrixon, a spokesman for Doctor Matt, said patient safety had "always been our priority". "Interactions may last only a few seconds, for example, when a known customer is requesting a repeat prescription - as is the case in many normal GP consultations," he added. Stuart Gale, owner and chief pharmacist at Oxford Online Pharmacy, which is run by Frosts, said: "We have responded immediately, even suspending our asthma inhaler service for the time being so that we can ensure we are operating to the highest standards." Last month the CQC published its finding on two services and warned patients to take care when using website-based prescribing. Who works there - are they based in the UK or overseas and are they registered?